KATHMANDU, Jun 3: Domestic private sector airlines have decided to hike airfare. The hiked airfare will be effective from coming Tuesday. Civil Aviation Authority of Nepal decided to hike the airfare after the Nepal Oil Corporation (NOC) increased the air turbine fuel by Rs 5 per liter on Saturday night. Earlier it was Rs 95 per liter. 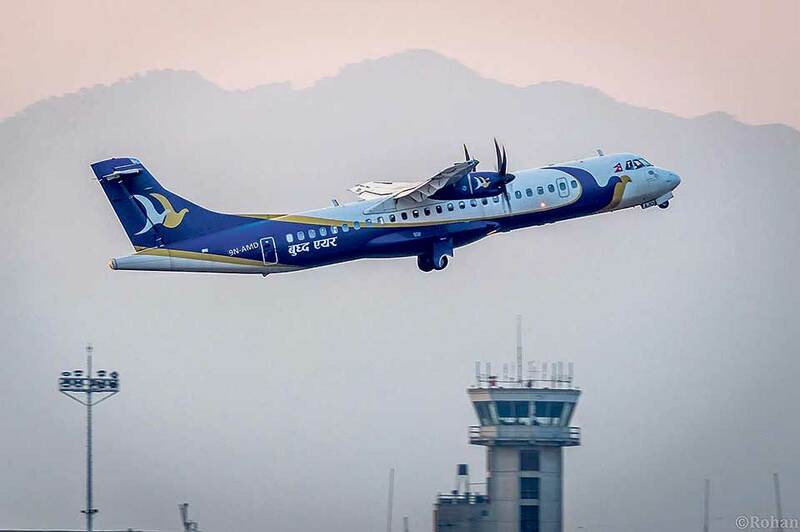 A meeting of the Airlines Operators Association Nepal, an umbrella organization of private airlines, held on Sunday decided to hike airfare which will range from Rs 45 to Rs 220. The hiked airfare will be effect from June 5. 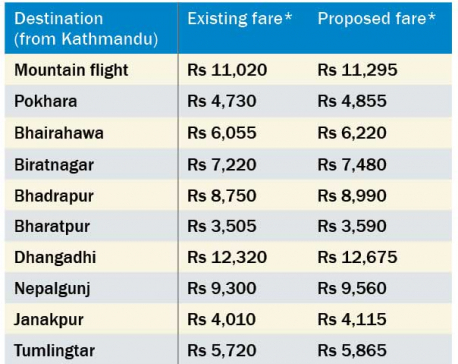 As per the hiked airfare rate, the air ticket from Kathmandu to Simara, being the shortest air route (15 minutes), will cost Rs 3,170 while the longest route Kathmandu to Dhangadhi (80 minutes) will cost Rs 12,870.